Some folks like to start off the New Year with a big, shiny resolution. Personally, I’m not keen on resolutions. I’d rather spend my time doing some inwardly focused planning and uncover a New Year’s revelation. Last week I returned to the studio after a long hiatus – almost 4 weeks. Two of those weeks were devoted to knocking out a first draft of my annual plan. Turns out I have a burning desire to create new work. A LOT of new work. When I walked into my studio last week the first thing I noticed after having been away so long was that I was surrounded by old work. A LOT of old work. With the walls and shelves already full there is physically no space in the room for new work. 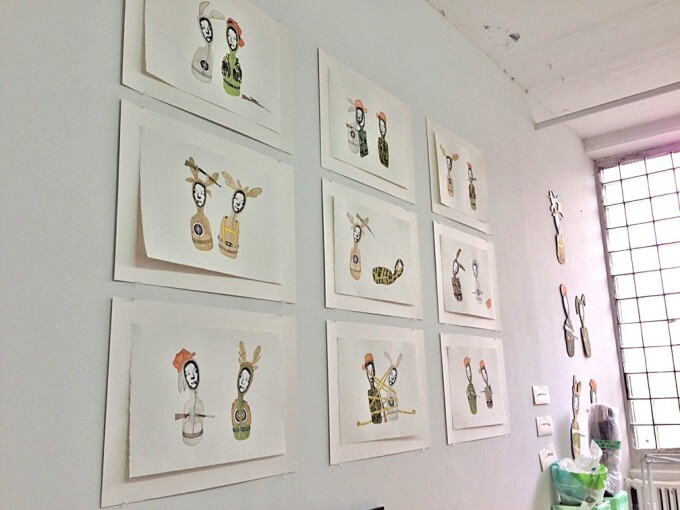 And seeing the studio full of old work every time I walk in the door keeps my mental space focused on old ideas. I revelized (you know, the moment when you realize you’re having a revelation) that I felt a bit like a fish who stops growing because its reached maximum size for it’s tank. Since I’m not actually a fish, but aware and care that my growth is being stunted, I decided to do something about it. Knowing that a bigger studio isn’t in the plan for this year I chose to make my “tank” seem larger by cleaning it: packing away older work, moving newer work off of the table tops and onto display shelves, and taking down all of the work that was hung on the south wall of my studio. 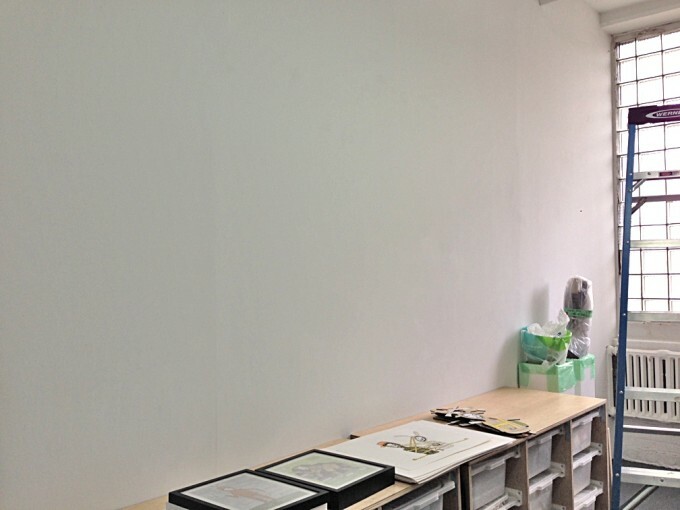 This time around, the vast, white wall is only slightly scary to me. Mostly I’m excited to see what ends up on the wall over the next few months. My goal is to fill the space with all new work by the time the Long Island City Arts Open Studios rolls around again in May. If I continue working in my current diminutive scale, that’s a lotta new pieces. Is it time to clean your “tank”? What do you need to clear out, pack away, or purge so that you can grow this year? Please feel welcome to comment below. Oh the spaciousness of it, Jody. I look forward to seeing your new art take precedence!